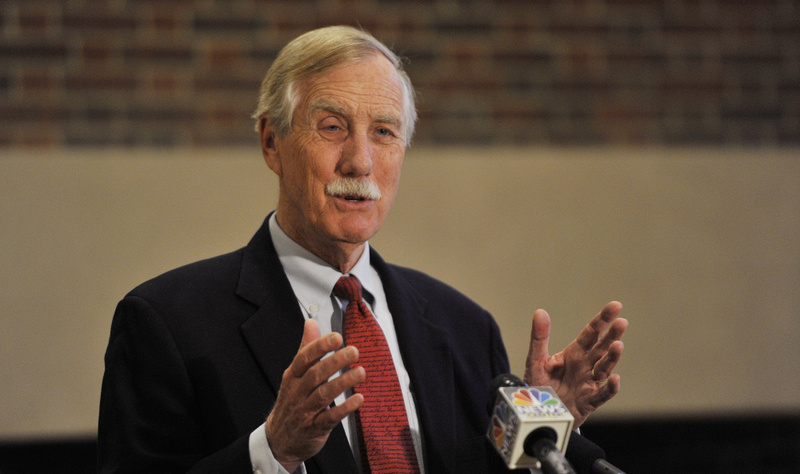 As suggested by Angus King and other senators, further investigation will help us grasp the threat posed by those trying to disrupt American institutions. For all the attention wasted, both nationally and here in Maine, on imagined cases of voter fraud, it’s baffling that actual evidence of actions taken to undermine the electoral process is being all but ignored. Based on the little that is known about Russian attempts to influence the presidential election through computer hacking and propaganda, we all should be outraged and disturbed. When a foreign government appears to have tried to disrupt and pervert our democracy, we should be demanding further investigation – not to relitigate the results of the election, but to better understand the threat posed by Russia and other entities, governmental or not, that wish to use technology to sow distrust in our institutions. The senators, as recipients of top-secret briefings, have seen the information referenced, but not detailed, in the short letter. King, who called it a “national security issue of the gravest consequence,” believes the public has a right to know the scope of Russia’s actions, and he’s right – Americans deserve to know as much as possible about how and why actors outside this country attempt to influence how we vote. It’s an age-old tactic, but with a 21st-century spin, and to guard against it, everyone should know what we are up against. The little we do know begs for further illumination. First, it appears that Russia was behind the hack into emails related to the Democratic National Committee that were later released in an attempt to embarrass senior Democratic officials and infuriate voters. There is also evidence that Russia used a sophisticated, coordinated propaganda effort to use social media to spread false stories damaging to the campaign of Hillary Clinton. Both tactics are “Russian standard practice,” said King, who was told of similar actions to influence elections and undermine opponents in Poland and Ukraine during visits with officials from those countries, statements backed by independent research. There are questions over the extent of Russian involvement, particularly when it comes to the dissemination of false news stories. But that’s not a case for withholding the information. If the threat is being overblown, then we need to know, too, so we can ask why intelligence officials and senators privy to top-secret information are stating their case so emphatically. However, from what we know, it’s much more likely that the government of Vladimir Putin has opened a new front in a cyber war meant to destablize the United States and raise Russian prominence and influence on the world stage. The capability of Russia and other entities to undermine American interests through these practices will only grow, and Americans should be fully aware of the threat.